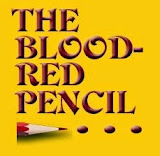 If you follow The Blood-Red Pencil, chances are you recognize the name Morgan Mandel. She posts here. I thought, this being the month of love, I’d ask her about writing love. How does love play a role in your latest book, Forever Young: Blessing or Curse? 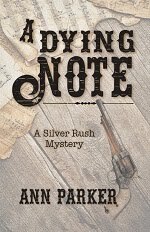 The heroine, Dorrie Donato, already knows how to love, as evidenced by her strong feelings for her husband, Larry, and her devastation when he dies. She not only recalls the physical bond they shared, but also how they connected on so many other levels. When he’s gone from her life, she feels the loss immensely. She also experiences other forms of love—that for her mother, and her best friend. Another central character, Roman Remington aka The Angel Man, dubbed so because of his hunky blond-haired, blue-eyed angelic appearance, has never known love. He finds it hard to imagine the concept. His homelife was less than idyllic, with his father running out on his mother, and his mother showing no warmth for her son. Through interaction with Dorrie, he learns the true meaning of love. Unfortunately, that love results in dire consequences for him. I’ve heard people say that love is for the young. Since Dorrie, at 55, loves her husband, do you think her love for him changes when she reverts to 24 years old? No, Dorrie’s love for Larry doesn’t change when she reverts back to her 24 year- old body. That’s because one of the wonders of the Forever Young pill is the recipient not only can go back to a desired age, but also can retain all previous memories. Though her life is filled with new experiences as she touts the miracle pill, she still remembers well her husband’s passing, and very much regrets it. In one exchange, she mentions if she could somehow get Larry back, she’d gladly give up being young again in favor of growing old with him instead. Forever Young is not a Romance, although there is a strong undercurrent of love. Why did you decide to include love in this Suspense? I can’t help including some sort of romance and love in my books. Love, whether it be for a spouse, parent, other family member, friend, pet, or on a lesser level, a hobby or occupation, is an integral part of a person’s existence. Without it, there’s a gaping emptiness. Trite but true—Love makes the world go round. Also, since my writing life matured through the critiques and friendship by membership at Chicago-North Romance Writers of America, love seems to naturally creep into all of my books without any conscious attempt to include it. 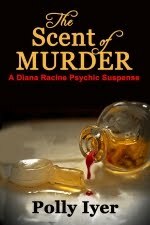 Conversely, by belonging to the Midwest Mystery Writers of America Chapter and by going to every Love is Murder Mystery Conference, somehow I can’t help throwing in some sort of suspense in my romance books either, as evidenced in my contemporary romantic comedy, Girl of My Dreams. Why did you decide to publish this book electronically? I absolutely love my kindle and don’t know how I did without one before. It’s a very handy device, not heavy and so easy to take with, making it possible for me to always have a book on hand to read. I’m sure other owners of electronic readers feel the same connection with their particular choices, so I knew I had to get this book out to the electronic audience, which has grown immensely in the past few years. Where can readers find electronic versions of Forever Young: Blessing or Curse? 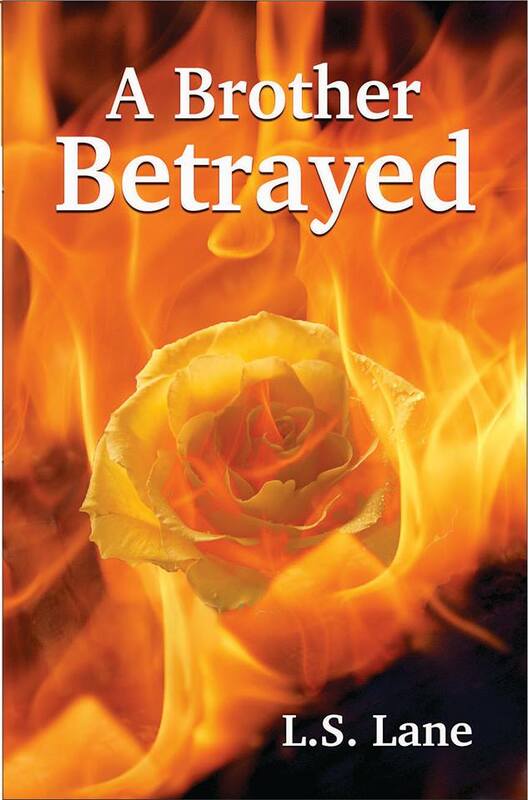 This thriller is on Kindle, Nook, Kobo, Smashwords, iTunes, and more. If you don’t see the embedded link here for your desired format, you ‘ll find more at http://morgansbooklinks.blogspot.com, where I display short excerpts of all four of my novels, as well as all known buy links. 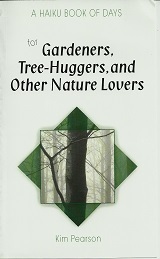 By the time you read this, Forever Young: Blessing or Curse may already be at the CreateSpace store and at Amazon.com. If not, it will arrive shortly. I know there are plenty of readers out there who still prefer the solid feel of a traditional book in their hands, so I couldn’t ignore this very important segment of the audience. Right here at http://bloodredpencil.blogspot.com at least twice a month. Those are just a start. I’m also at a number of other blogs, Facebook pages, and egroups, too many to mention. I do tend to get carried away. I would be remiss if I didn’t mention that my Interviewer, Helen Ginger, did a stupendous job of editing Forever Young: Blessing or Curse. For that I heartily thank you, Helen. You’re welcome. And I thank you for letting me be the first to read it! Helen Ginger is an author, blogger, and the Coordinator of Story Circle Network's Editorial Services. She teaches public speaking as well as writing and marketing workshops. In addition, her free ezine, Doing It Write, which goes out to subscribers around the globe, is now in its thirteenth year of publication. You can follow Helen on Twitter or connect with her on Facebook and LinkedIn. Love IS essential, isn't it? I dig my iPad and can't imagine reading a book any other way now. I like my iPad, too, Alex. I still read print books and like those, but digital books seem so much easier and comfortable to read. I'd love to have an iPad, but can't justify getting one. I still own a laptop computer, which I'd purchased in the days I had a day job,so I could use it while commuting on the train. Forgot to mention the Valentine's Special. 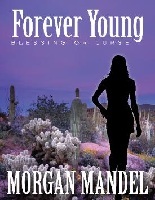 Forever Young: Blessing or Curse is 99 cents on kindle through next week to celebrate Valentine's Day. Sounds like an intriguing book ... but tsk, tsk, Morgan and Helen ... I'm not stupid, ya know ... I wondered why the interviewer was lobbing those softballs. Yes, the world wouldn't be the same without love! I read on my iPad all the time and have a hard time adjusting to print copies now. I'm off to check out Forever Young at that great price! Great interview and an inspiration for those of us hesitating to self publish electronically. Thanks for sharing. Thanks for this fun peak into the special relationship between two of our BRP contributors! I agree, Morgan, that a love interest adds so much. I like that you started off discussing whether or not we suspect your protagonist can love. That's an important aspect of a characterization. Love really does make the world go round! 99 cents for your book sounds like a great deal, Morgan. That's one thing about eBooks - often there are sales like yours. I only have an iPad because my husband's company upgraded his so I got his old one. Woo-woo! Oops, it's only on Kindle for 99 cents because it takes about 3 weeks to get it on the other venues, and by that time my deal would be over! Anyway, it's on other ereaders at $1.99, which is only $1 more. Wish I had an iPad or Kindle Fire, but until they have a combo with the easy on the eye e-ink like my Kindle, I'll wait. Also, can't afford it. I have to keep telling myself that each time a new gadget comes out, because I do love my gadgets. Really, you like the iPad screen, Helen? It's really hard on my eyes which is why I bought the eInk Nook. SO glad you make your books available on all the platforms, Morgan. I'll have you know I bought your book for $2.99 when it first became available. Come back and share with us how many books you sold on this excellent blog book tour, will you? You really know how to promote a new title. The iPad doesn't bother my eyes, Dani. For short trips, it's like a mini laptop, which is nice for day trips. "Love, whether it be for a spouse, parent, other family member, friend, pet, or on a lesser level, a hobby or occupation, is an integral part of a person’s existence." That is a great statement, Morgan. I think sometimes writers forget that love is about more than romance and relationships of the sexual kind. There are so many ways we can deepen a character by showing how he or she feels about a parent or a child or a very good friend. Morgan, I doubt there's any way I could write a book and not include romance. We all have our preferences for e-readers. That's why it's so great there are so many of them out there! Yes, love is the answer, isn't it? If we don't love something or somebody, our loves are empty. Love or lack there of is so much a part of our lives. You did a great job with this book, Morgan. I'm glad I got a chance to read it. I'm digging my Kindle Fire. It's my preferred way to read. I love my Kindle and I'm off to snap up this book! Thanks, Cheryl. Glad you liked Forever Young: Blessing or Curse. And Laura, I hope you enjoy the read! Platonic love crops up as a theme in many of my books. I think it can sometimes be a very deep relationship. A great editor is a gift--so glad you found yours, Morgan! I love the concept behind this book. Yes, you can't underestimate the value of a good friend! You are so right. I'm blessed with a great editor! I know I need to jump on the e-reader wagon but I've decided to get through my TBR pile of paperbacks first.